HOUSTON, TEXAS — The New England Patriots defeated the Atlanta Falcons 34-28 in overtime to win Super Bowl LI. 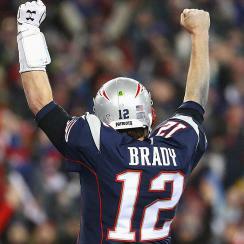 New England overcame a 25-point deficit to score 31 unanswered points. The comeback was the largest in Super Bowl history. Additionally, the game marked the first time a Super Bowl had ever gone into overtime. Atlanta had a commanding 21-3 lead at the half, as many onlookers started to prematurely declare the franchise the victors and recipients of their first championship trophy. Later, the Falcons were able to extend their lead to 28-3 in the third quarter. However, from then on out it was all Tom Brady. The Patriots entered the fourth quarter trailing 28-9, somehow scoring 19 points in the quarter in order to send it into overtime. With only one possession need to put together a game-ending drive, the standout highlight from the Pats’ path to victory was a catch made by the oft-targeted Julian Edelman. The wide receiver was able to maintain focus and improbably catch the ball mere centimeters above the group despite it having been tipped by a Falcons’ defender. The catch maintained an ongoing 91-yard drive that would result in a game-tying touchdown by running back James White, and immediately followed by the decisive 2-point conversion. This was a record tying fifth Super Bowl win for Quarterback Tom Brady and head coach Bill Belichick. Brady finished the game completing 43 out of 62 passes for 446 yards gained, all Super Bowl records, and received his fourth Super Bowl MVP award, another unprecedented feat. White’s three touchdowns and the 2-point conversion totaled 20 points, and set a bowl record with 14 receptions from the halfback position.